Back at IFA 2015, Acer announced a new Windows 10 Mobile handset. The company didn't said anything regarding the launch and price of the Jade Primo until today. The Liquid Jade Primo was recently announced in the Philippines, where it's going to be available starting December. Acer will sell the handset unlocked for around $410 (18,990 PHP in local currency). According to Acer France, it will retail for 499 Euro (£360, $550) in Europe and will come bundled with the Continuum dock, Acer keyboard and mouse, which is sweet! 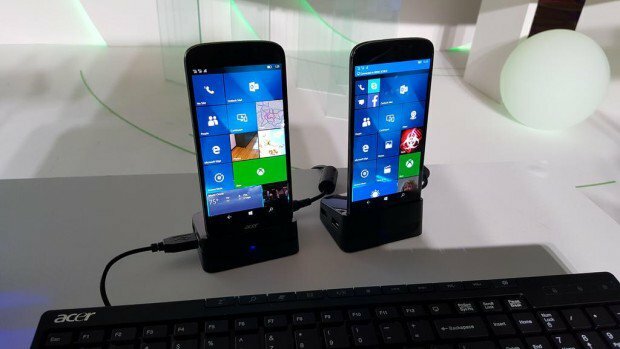 Acer's Jade Primo was the first smartphone to support Continuum for phones which lets you extend the capabilities of your handset. Of course, you will need Continuum Dock accessory for that to work. 32 GB of storage space. Battery capacity of the handset if unknown, but we do expect a large battery.